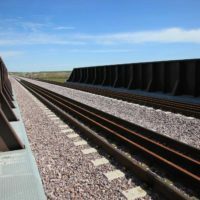 Heavy rail work requires a thorough understanding of the rules and regulations that govern railways. 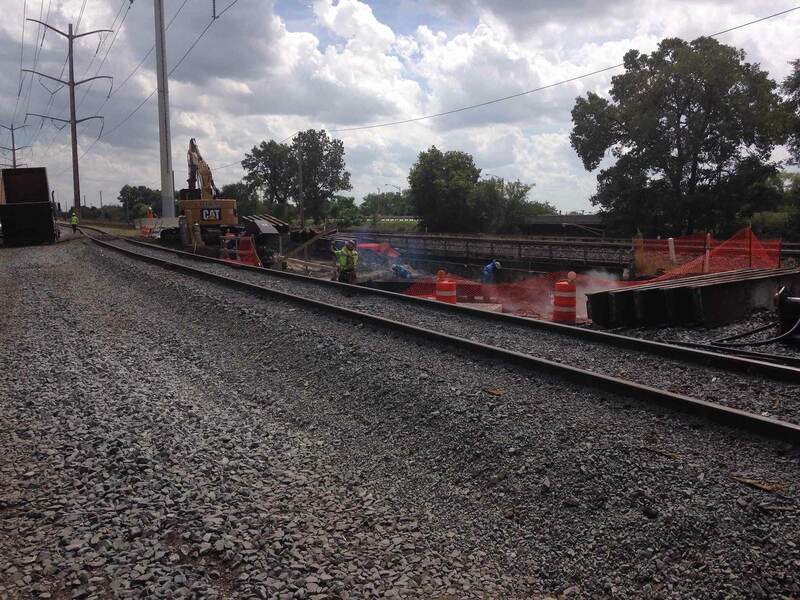 Regardless of any other considerations, trains have to keep running on time and on schedule. 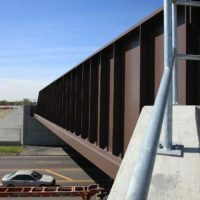 Our broad value engineering experience allows us to balance cost effectiveness with scheduling and safety considerations, and to plan in fine-grained detail to minimize disruptions and manage risk. 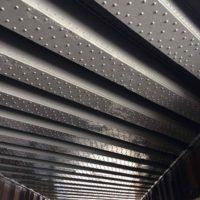 Furthermore, our construction expertise ensures our clients can be confident our work will have the 100+ year longevity they desire. 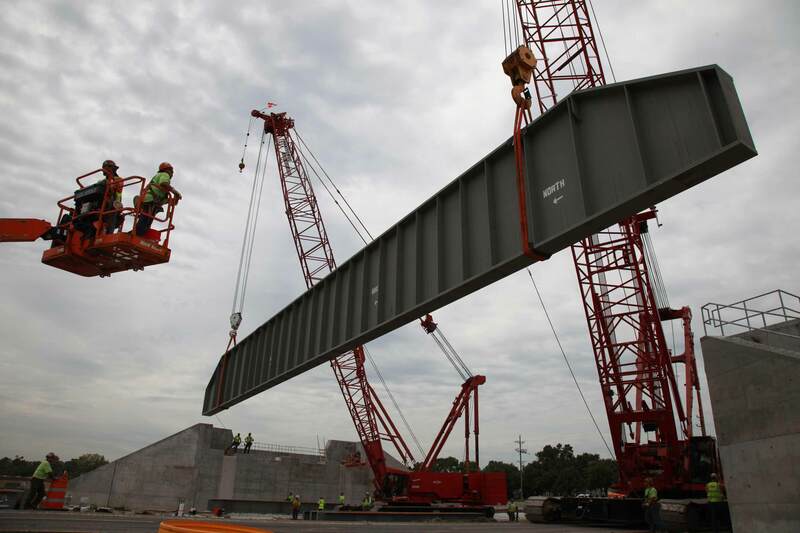 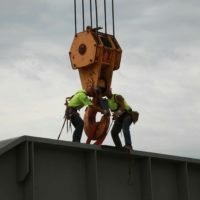 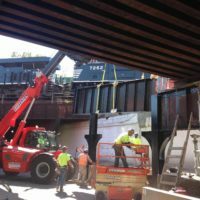 Due to the aging infrastructure of the bridge, Indiana Harbor Belt Railroad (IHB) wanted to upgrade and replace the three independent, wooden railroad bridges over Thornton Road in Dixmoor. 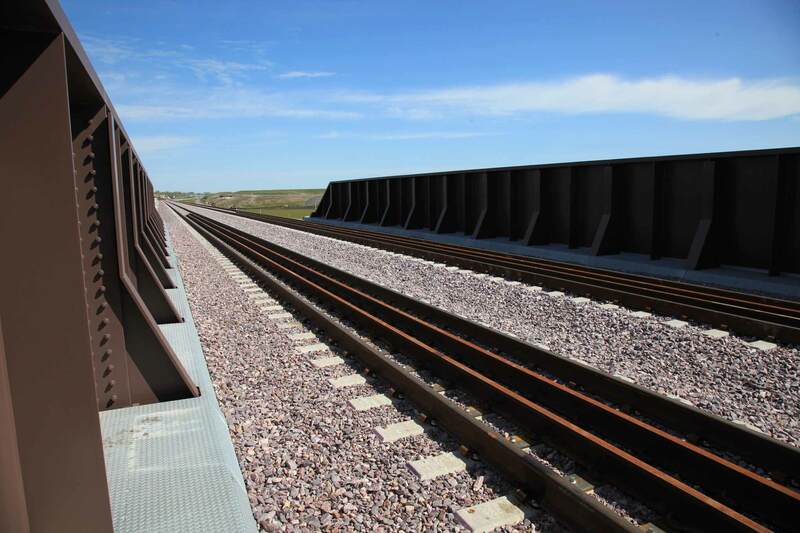 The three structures holding the individual tracks were replaced with a single concrete structure supporting all three tracks. 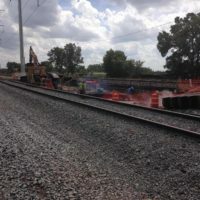 Construction was performed in phases to maintain train traffic at all times. 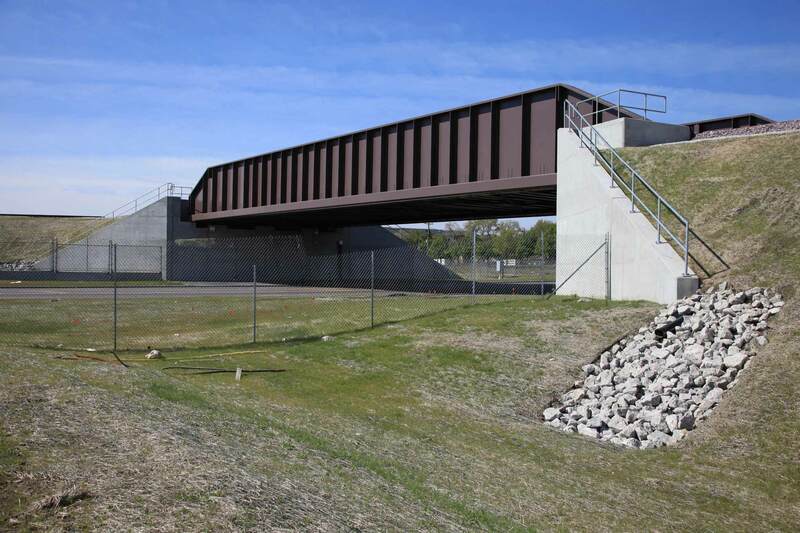 The new structure maintained the existing elevation to match the track on both sides. 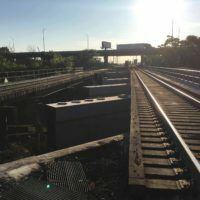 To eliminate a low clearance route, Thornton Road was lowered approximately 5’. 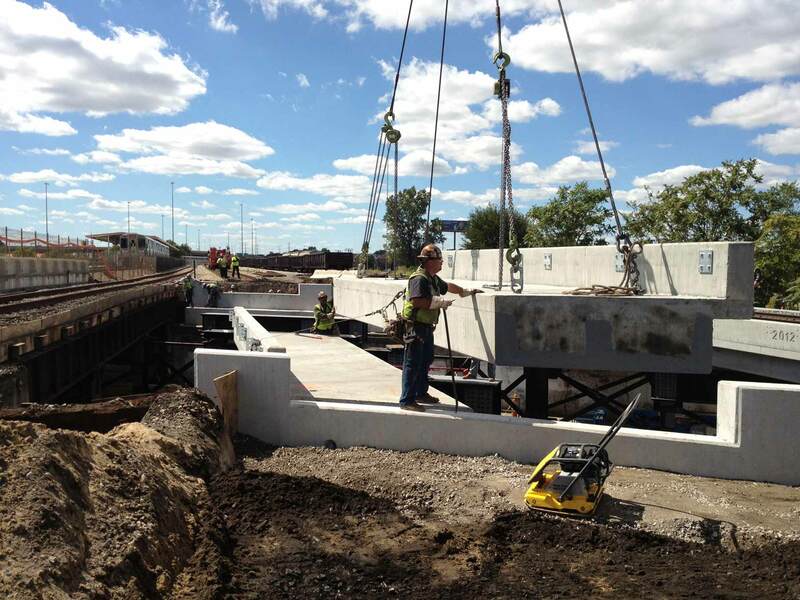 The project overcame multiple utility conflicts and still opened the new bridge to train traffic in early November 2017. 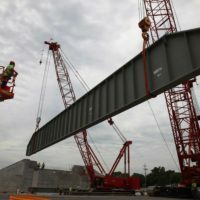 Thornton Road will open to roadway traffic as scheduled in late December 2017. 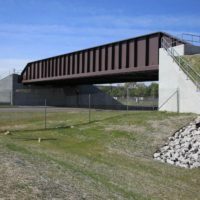 Norfolk Southern Railroad over Cottage Grove Ave.
A portion of the NSRR railroad bridge over South Cottage Grove Avenue, just south of 71st Street, had fallen into disrepair and was in need of rehabilitation. 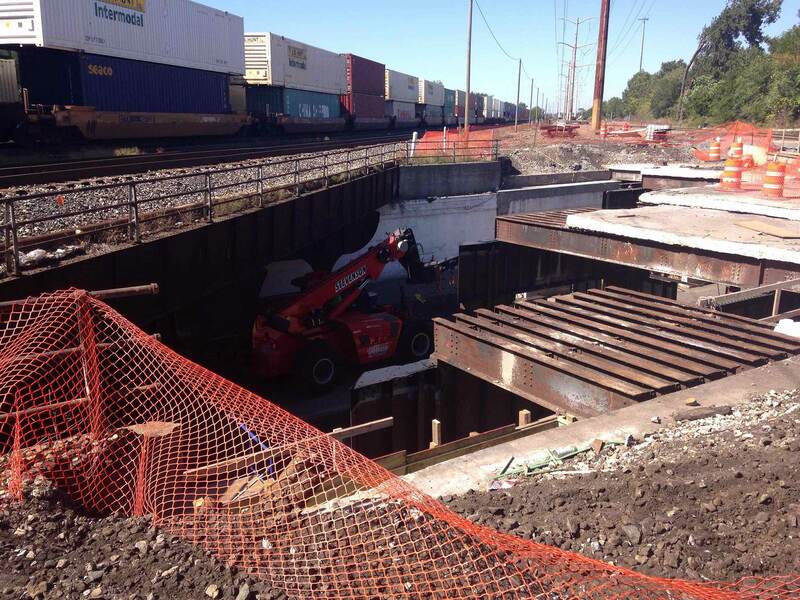 To facilitate the work on this structure, partial road closures will be utilized. 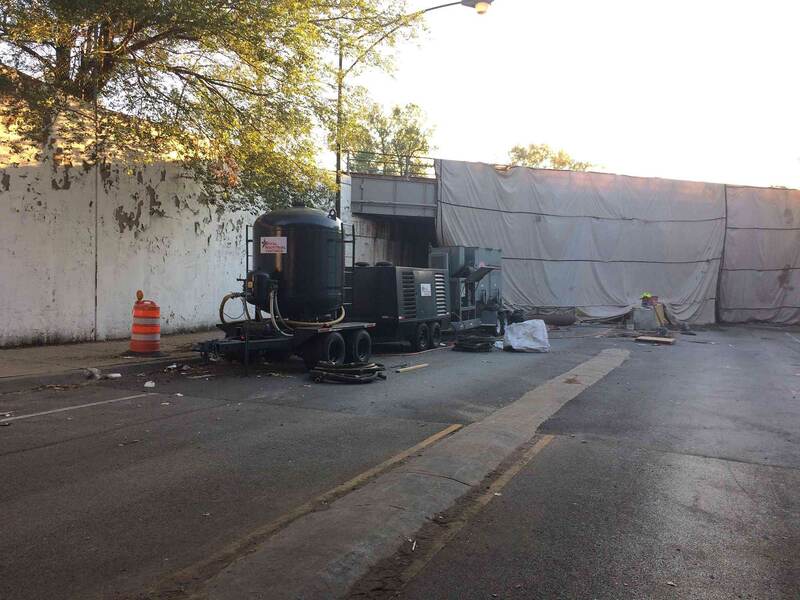 These partial closures will involve the closure and detour routing of one direction of traffic at a time on south Cottage Grove Ave. between 71st St. and 72nd St. Work will be coordinated with other CDOT projects being performed in the area so as not to conflict with traffic patterns. 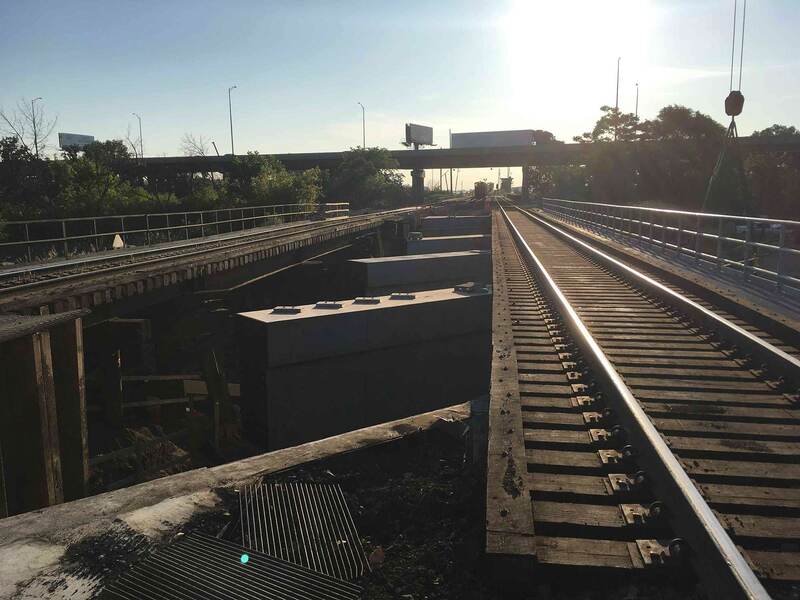 A portion of the stone ballast on top of the bridge along with a portion of the concrete deck at track level is being replaced. 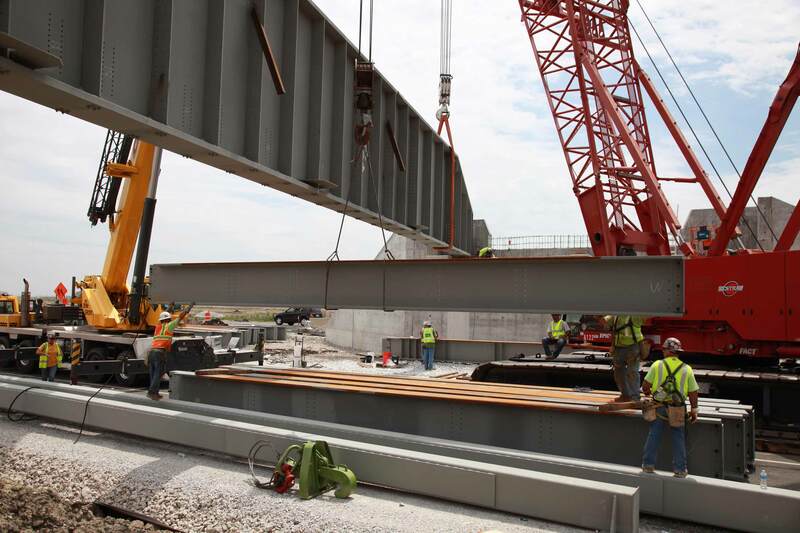 This will be followed by the removal and replacement of a portion of the steel superstructure, including the south main girder, cross girders and columns on the southwest corner of the structure, and roadway and floor beam replacements on the southern half of the bridge. 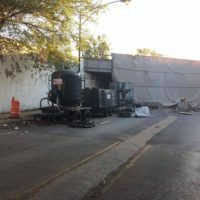 Concrete column protection and center bent crashwall concrete construction will then be installed at street level. 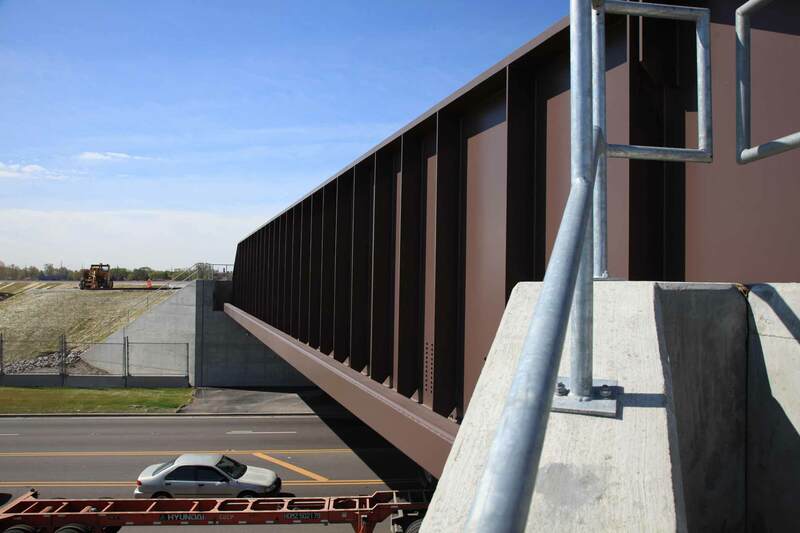 The project will culminate with installation of track level handrail at the south end of the bridge. 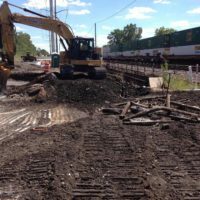 71st Street was closed west of Cottage Grove Ave. to facilitate the reconstruction of the railroad bridge, which had fallen into disrepair. 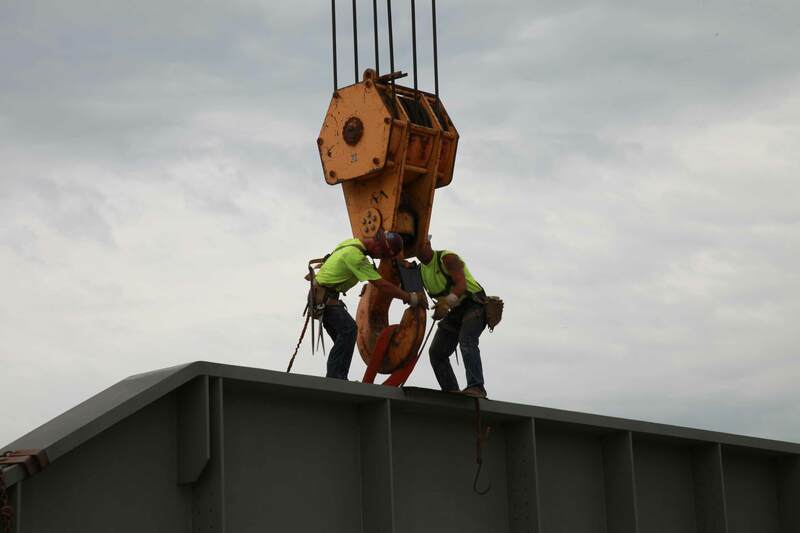 A temporary shoring system was installed to support the main bridge members allowing work to safely proceed on the bridge. 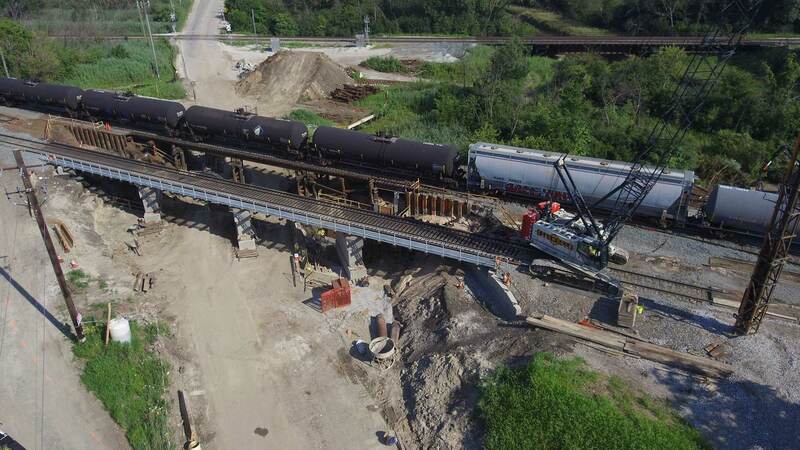 The project, located at O’Hare International Airport in the City of Chicago, was a grade separation at Irving Park Road consisting of a new railroad bridge over an existing roadway for the re-aligned Union Pacific Railroad. 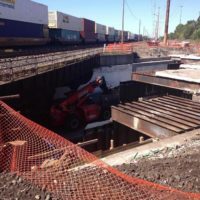 The structure work included excavation, steel piles, reinforced concrete and structural steel. 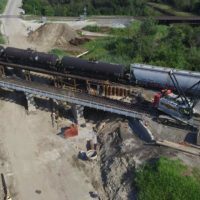 The rail work included site demolition, earth excavation/embankment, temporary and permanent erosion control, drainage, duct bank placement, and sub-ballast placement. 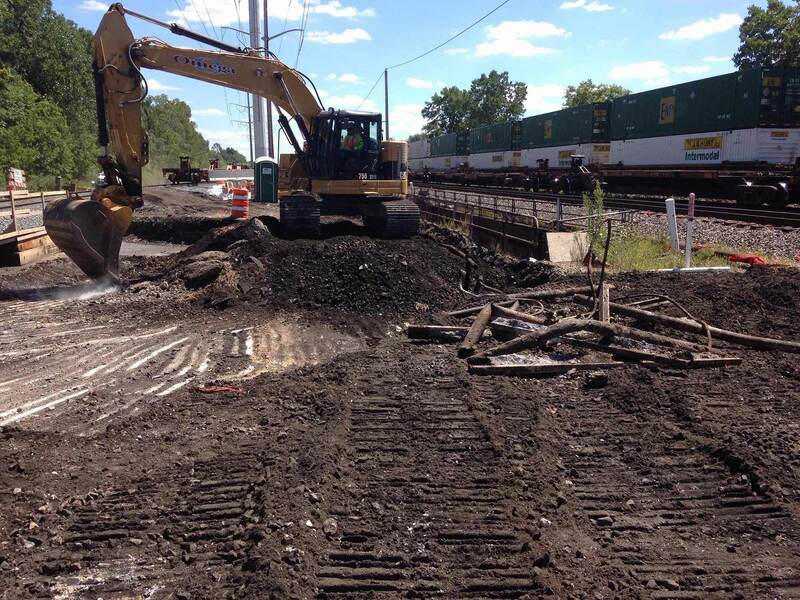 Drainage work required a new culvert under the UPRR embankment and Bensenville ditch channel rerouting. 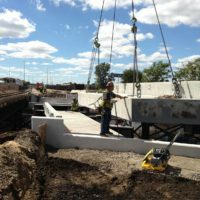 Roadway work included reconstruction, widening, resurfacing, pavement markings, storm sewer, temp drainage, erosion control, duct bank placement and temporary maintenance of traffic. 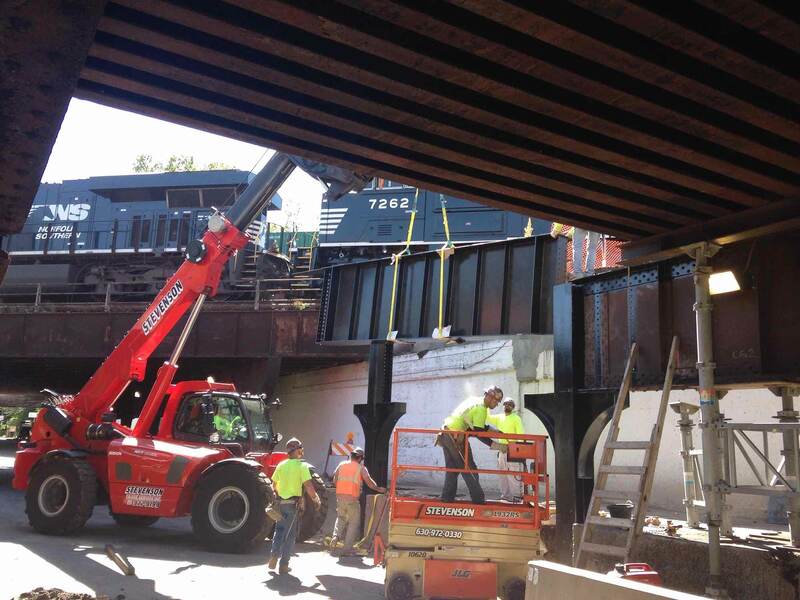 This project involved the removal and replacement of three railroad bridges over Halsted St. 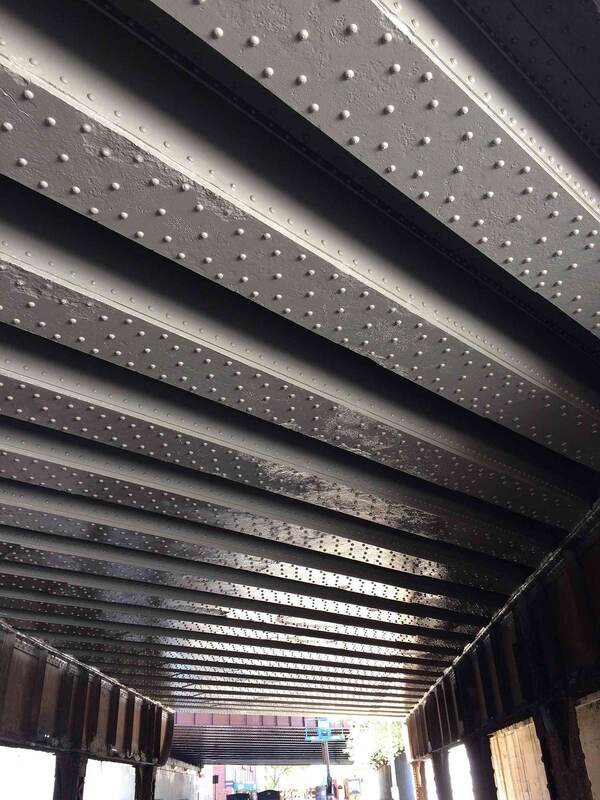 Columns underneath the bridges were replaced first, followed by the removal and replacement of the bridge structures. 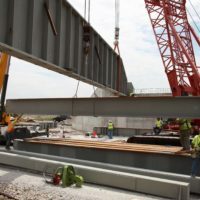 Done in 16-hour coordinated shutdowns, the bridges were demolished, backwalls excavated and replaced on fast setting grout with new precast walls, and new bridge structures installed.